Though it seems like it’s been in the works for a long time and should probably be in theaters soon, Marvel’s Black Panther movie is still over a year off. So, with all of that extra time, the studio might as well keep tossing more good actors into this thing until every ancillary character is played by someone you recognize from something else. Person Of Interest’s Winston Duke joined in September, Forest Whitaker joined in October, Angela Bassett joined in November, and now—after taking December off—Marvel has added This Is Us star Sterling K. Brown to the Ryan Coogler-directed superhero film. According to a post on Marvel’s site, Brown will be playing N’Jobu, “a figure from T’Challa, a.k.a. Black Panther’s past.” That’s all we know about the guy, but his connection to the past will probably be important, given how important history is to the Black Panther mythology. 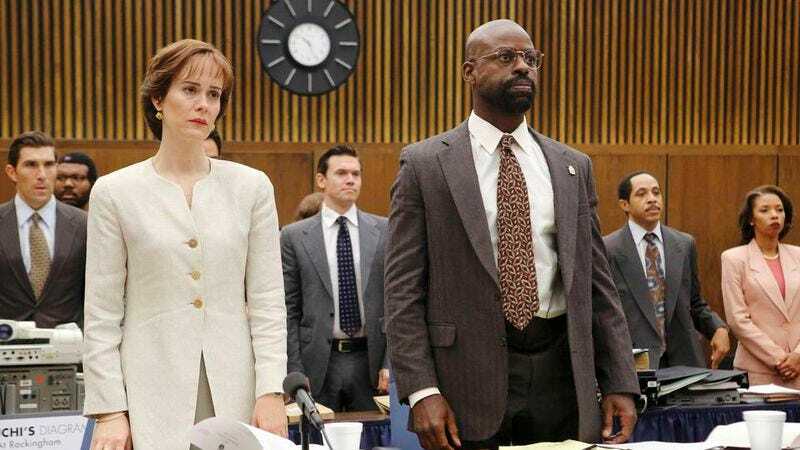 As for Sterling K. Brown, he also won an Emmy for his role as Christopher Darden in The People V. O.J. Simpson. Black Panther will be in theaters on February 16, 2018.